The subject of our universe and what may or may not be out there is a source of endless fascination, and it’s no wonder that many artists have fallen victim to the subject’s charms. It’s also a topic rarely out of the news – whether it’s the efforts of astrophysicists attempting to recreate the conditions in the nanoseconds following the Big Bang at the Large Hadron Collider, Brian Cox winsomely cajoling housewives around the world to take interest in the wonders of the universe, or the looming deadline for the 18 teams still on track to win the $30 million Google Lunar X Prize to finally land a craft on the moon and beam messages back to Earth. And given the constant reminders that climate change is wreaking havoc on our little blue dot, is it any wonder that so many eyes are turning to look up at possibilities, not simply for tourism and travel, but for potential new homes should this one ultimately fail? Given that what’s prominent in public is often prominent in the minds of artists, it’s understandable that there exists a glut of space-themed art. In particular, the recent exhibition ‘Republic of the Moon’ staged by Arts Catalyst – an organisation whose mission is to engage public debate via collaborative art-science projects – reminded me just how many artists take up the subject of space and what exists above and beyond us. ‘Republic of the Moon’, as its name implies, presented a series of works by nine artists each exploring a particular aspect of our relationship to the moon. 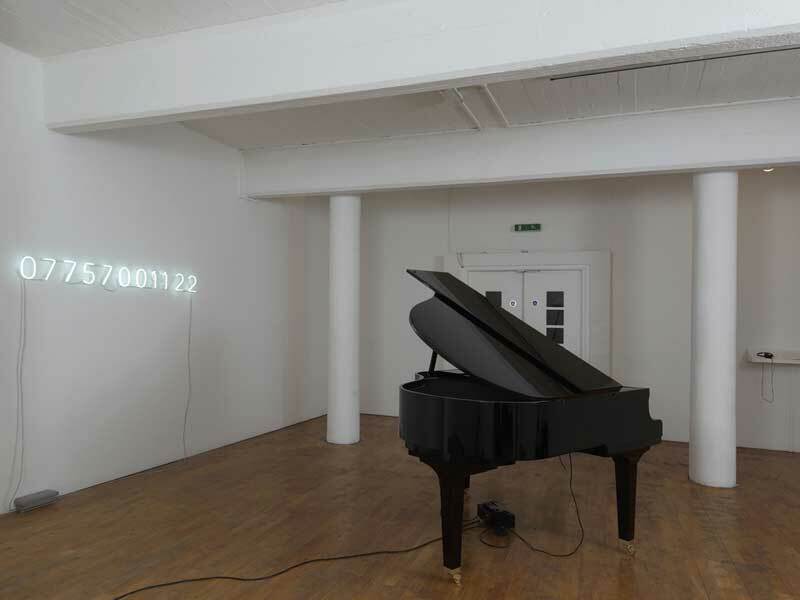 Some of the works are conceptually arresting and visually intriguing – such as Katie Paterson’s Earth-Moon-Earth, which sees Beethoven’s Moonlight Sonata translated into Morse code and bounced off the surface of the moon only to be transmitted in its newly-altered state to a self-playing baby grand. 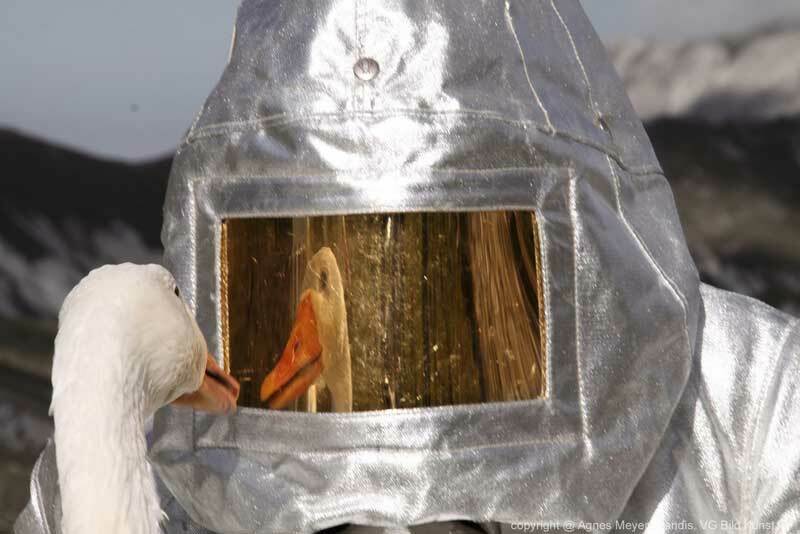 Others are charming but ultimately inexplicable, like Agnes Meyer-Brandis’ Moon Goose Analogue, in which she imprints 11 geese so that they follow her around like a mother goose, or far too rough in presentation to do justice to the potential of the underlying ideas, such as Moon Vehicle by Joanna Griffin, a project created in conjunction with an Indian astrophysicist and a group of art school students in Bangalore to imagine their own version of India’s first lunar probe, Chandrayaan-1. After visiting ‘Republic of the Moon’, I spent some time conversing with a friend about why I felt so unsatisfied by the exhibition. 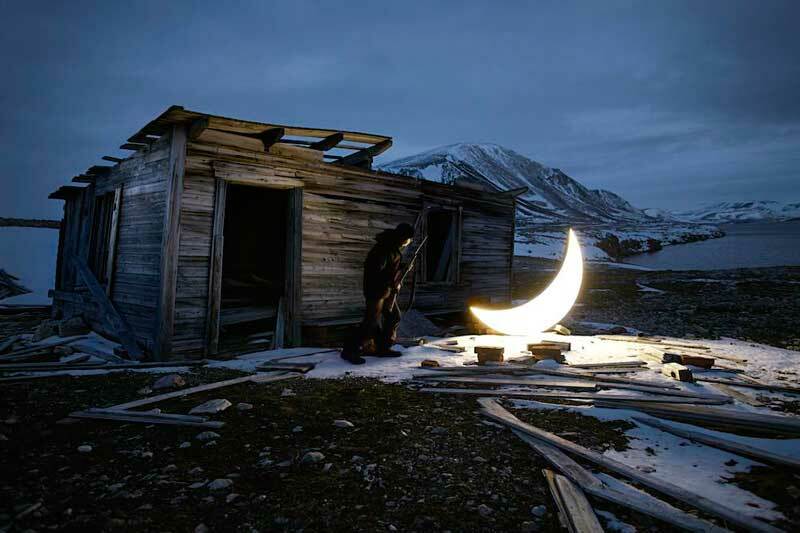 In part, it was because I’d seen so much of it before – the work of at least three of the artists, Paterson, Meyer-Brandis and Leonid Tishkov’s Private Moon, is some years old – but also because I’m genuinely not sure how much artists can bring to the table when it comes to the subject of space. For me, there are two rough categories which comprise ‘good’ art: the visual stunners, the things that stop you in your tracks just by good looks alone; and the conceptual heavy-hitters, the works that turn your mind in knots and leave you with hours, if not days, of thinking. Of course, the very best works are those which manage to combine the two and appeal equally to eye and mind. I wonder whether my problem with art that looks to space is that ultimately I find the subject itself so endlessly fascinating. Given that it also comes as a fully-formed package of brains and beauty, what more can an artist do? Take Saturn. 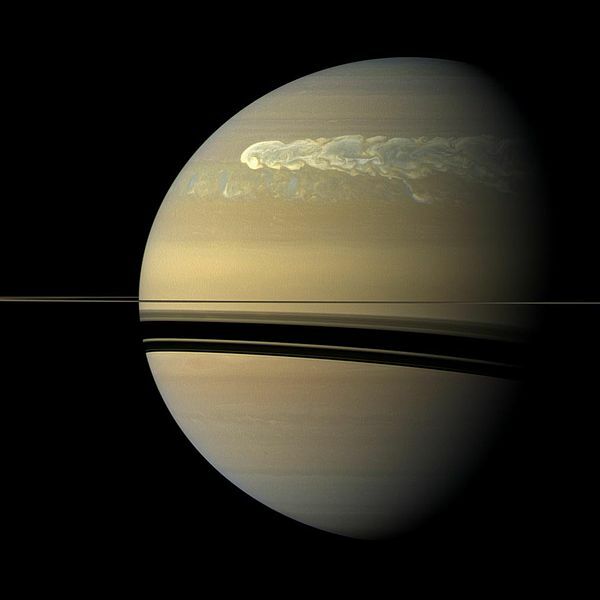 Images of the planet and its system captured by the Cassini craft are sensationally compelling. 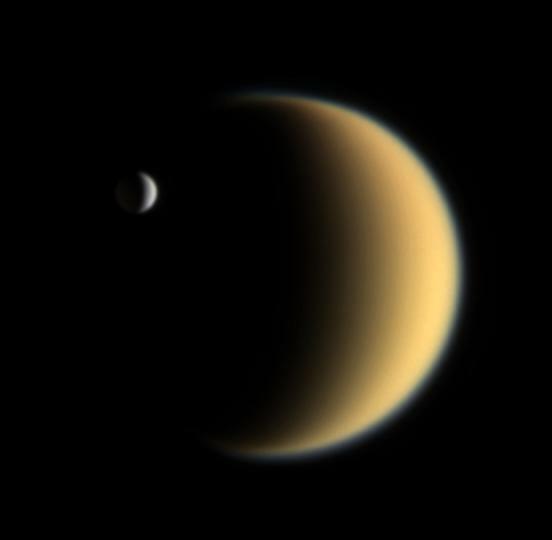 Those images, coupled with fascinating insights into that system – that there are 100m-tall dunes in the equatorial region of the planet’s largest moon, Titan, or that the planet’s signature rings are partially created from the frozen jets which erupt from one of its smaller moons, Enceladus – offer the best of both worlds. There’s already such splendour to be found in the study of planets, galaxies, and physical phenomena outside the comparatively minuscule purview of our planet, that while I often understand why artists might want to take up the subject, I rarely feel satisfied by the results of their efforts. There’s an overused trope in contemporary art, which I’ve written about elsewhere, particularly prevalent in photographic and video work, where an artist discovers a ‘new and underexposed’ place, documents that place and then presents the documentation as their work. While the discovered places are often compelling, the work almost never is, for the artists rarely make an effort to say or do anything with their discovery. Sadly, space seems to fall victim to this sort of treatment. Of course, most artists can’t get away with simply presenting a bit of space that they’ve discovered because they haven’t been there. But I’ve yet to see an artist take space as their subject and create a piece of work that prompts greater fascination, reflection, thought or analysis than the images already taken by NASA.